Cindy Petway serves as our Church Secretary. She faithfully serves in the church office answering the phones, scheduling appointments, and countless other activities that help keep the church running. 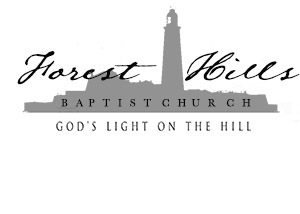 Caryn manages the facilities and their usage at Forest Hills Baptist Church. From cleaning, to setup, to maintenance, and beyond, she does an excellent job keeping up with the property of the church. Susan has been serving our congregation in music for over twenty years. She is a gifted organist and pianist and is happily married to her husband George. Mark is a full time physician assistant in Family Medicine at East Carolina University. He is starting his third year at Southeastern Baptist Theological Seminary in Wake Forest, North Carolina. He has served in his home church at Webbs Chapel Baptist Church in Macclesfield for over 30 years in various positions including Sunday school teacher, Baptist Men's Director, and Chairman of Deacons. Mark has served as supply pastor for many years for the South Roanoke Baptist Association Churches and recently as Interim Pastor. Mark and Wendy have been married for 33 years. Wendy serves her community as a pharmacist in the local drug store and has served over 25 years as choir director in their home church.